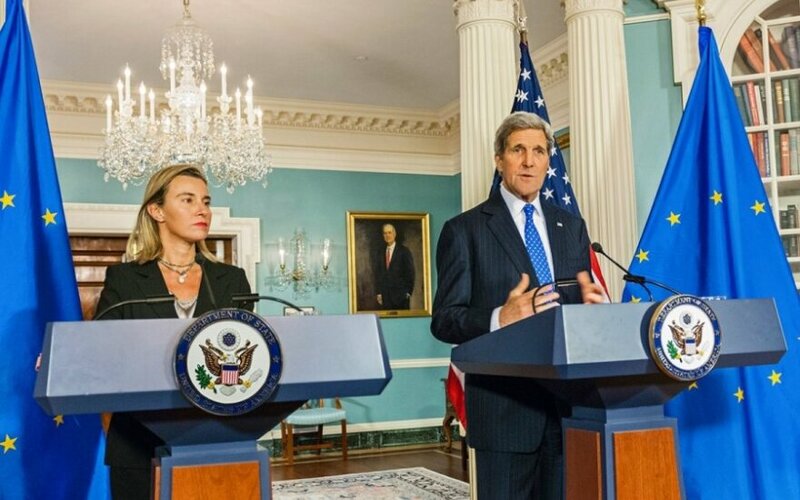 On Wednesday, the High Representative of the EU for Foreign Affairs and Security Policy, Federica Mogherini, met with US Secretary of State, John Kerry. The two discussed a number of issues during a luncheon meeting, in particular the situation in Ukraine, the recent wave of terrorist violence in France and other EU countries, energy independence, and other security issues. Mr. Kerry made it very clear that the United States continues to strongly support Ukraine’s territorial integrity, stating: “The OSCE reported yesterday that at least 30 Grad rockets hit Debaltseve, and killed three civilians and wounding 12 people. According to the OSCE observers, those rockets came, specifically, from the separatist-controlled town of Horlivka.” He restated that the US is ready to help Ukraine with the serious economic challenge that it faces. Questioned by France 24 about her soft stand on sanctions against Russia, Federica Mogherini responded, defensively, her stand on the subject. She said that the EU and the US are united on three basic principles: “support to Ukraine on the reforms process, putting economic pressure on Russia to stay out of the Ukrainian conflict and implement the Minsk agreement” and “the joint political engagement to make a diplomatic channel work in support of President [Petro] Poroshenko’s efforts”. Ms. Mogherini said that meeting these principles would form the basis for any reconsideration of the sanctions from the European Council meeting in March. 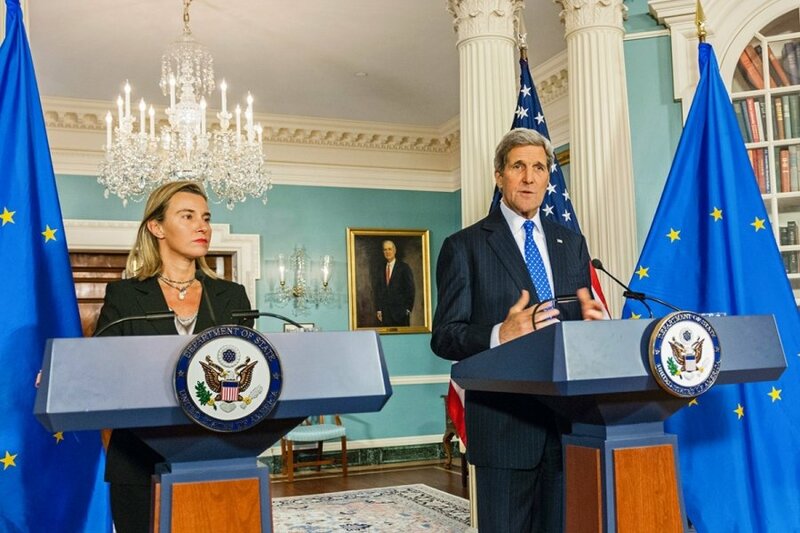 High representative Mogherini and Secretary of State Kerry also discussed the mutual commitment to create energy independence for Europe. They addressed the issue of the sole source of supply from Russia passing through Ukraine. Strong plans are in place and acted upon in Europe to create that independence, according to John Kerry. In addition to Ukraine and energy independence, the two also discussed a host of other issues, Libya, the proposed Transatlantic Trade and Investment Partnership (TTIP), the Israeli-Palestinian dispute, stabilizing Libya and the future of Bosnia. The two will meet again in London on Thursday to review with all partners the situation of ISIS and extremism in Yemen.